In celebration of the film’s national and New Mexico PBS broadcasts, we are offering a free final public screening of the film to Albuquerque, where we made the film. Jimmy Santiago Baca will be in attendance for a Q&A after the film. There will be a short introductory film, Conviction: From Prison Halls to Museum Walls about a local artist, Eric Christo Martinez. Is it too late to turn your life around? For Jimmy Santiago Baca, it seemed every day was his point of no return. Before he could even learn to read, he was abandoned by family, swept into a life of crime, and shipped away to Arizona State Prison. At every turn, Jimmy was alone, until one kind act changed how he saw the world, and himself. 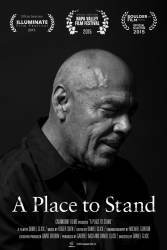 A Place to Stand is the amazing true story of how Jimmy Santiago Baca - a man with seemingly no future - became a celebrated teacher, poet, novelist, and screenwriter. 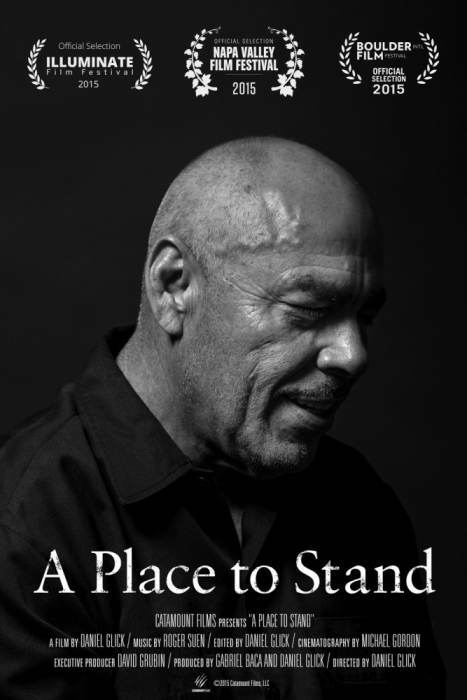 Based on memoir of the same name, A Place to Stand takes viewers into Jimmy's past and present to uncover how the power of the written word lifted him from violence and pain that defined his early life. With powerful revelations from family, friends, and fellow inmates, as well as incredible insight into the early writings that first captured Jimmy's imagination, audiences learn why it's never too late to turn your life around - as long as you have a place to stand.